The top section offers two different modes, selected by a switch. In the “HI” position, the module functions to “square-up” an incoming signal, with a rounded flattening of the signal peaks, somewhat similar to overdriving a tube amplifier (with voltage control!). 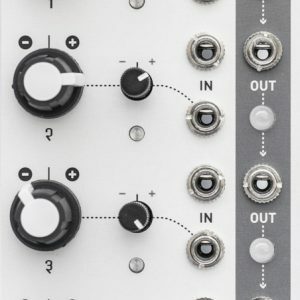 In “LO” mode, the module is a linear gain controlled VCA. 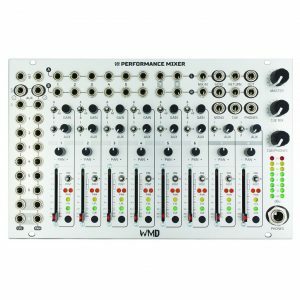 This is useful for various functions such as amplitude modulation and for gating signals into the other sections. 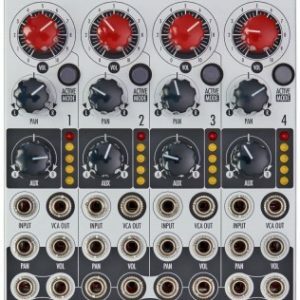 The middle section generates a sweep of the odd harmonics (1, 3, 5, 7, 9, 11 and 13th) when a sine wave is applied to its input and the FOLD knob is turned up or a control voltage is swept from low to high. This effect is similar to overblowing a wind pipe closed at one end. A second input is included to allow two signals to be mixed before processing. 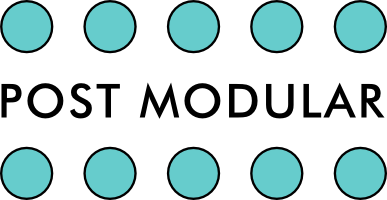 This module can be used to explore timbral areas beyond the range of ring modulation. The bottom Wave Multiplier performs non-linear wavehaping known as full-wave rectification, but with sophisticated level-compensating conditioning as well. The circuit uses three full-wave rectifier sections linked in a very refined controllable format. Sweeping the VC input over its range will produce a smooth timbral transition using the even harmonics (second, fourth, and eighth). Many other partials are present in this basic sound, however, and the sonorities are very rich and varied. The white output is a “squared up” version of the black one, resembling an harmonically enhanced pulse width modulation. The Random*Source version of the Serge Wave Mulitpliers for Euro is a licensed and authorized adaption of the original Serge design, using best parts available today (e.g. Burr-Brown op-amps, C0G capacitors up to 220N) for optimum audio performance. 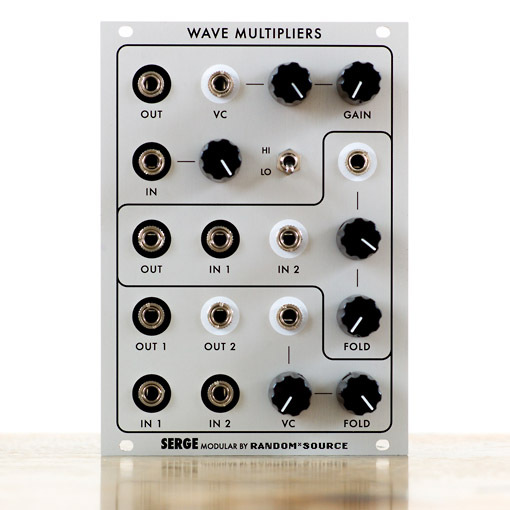 Now – for the first time ever and licenced by Serge – the Wave Multipliers are available as DIY (SMT) kit for Euro.